Additional assigned readings will be available on the university e-reserves (for detailed information about using course reserves click here). Course description. 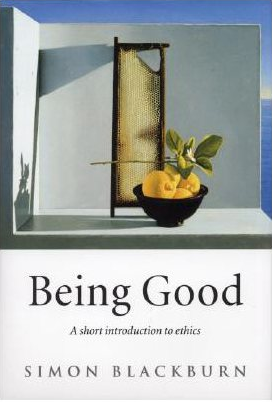 This course is an introduction to ethics. 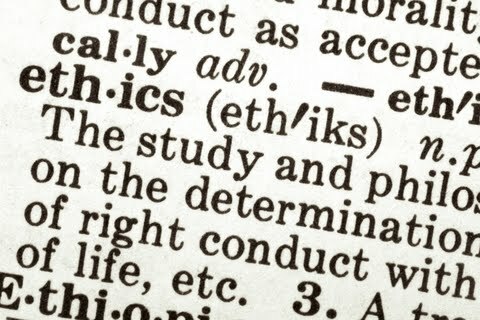 In general, ethics is the study of value in the world and how we ought to respond to it. This involves questions about how we ought to live and how we ought to treat one another, which are difficult, important, and unavoidable. Our goal in this course is to think critically about these questions and to explore some of the ways philosophers have approached them. We will investigate the relationship between religion and morality, the relationship between evolution and morality, and the prospects for moral relativism and nihilism. We will, then, consider some historically influential attempts to formulate systematic ethical theories. These are theories that attempt to answer the question "What is good?". And finally, we will turn to one controversial ethical issue: the moral status of non-human animals. We will consider both the arguments for vegetarianism and the arguments for the permissibility of eating meat (along with various related issues)---we will assess these arguments in light of the positions and distinctions from the earlier sections of the course. 09/05 [Lecture 2: Drugs] read: Blackburn, 97-105; Huemer, "America's unjust drug war". 09/10 [Lecture 3: Is abortion immoral?] read: Blackburn, pp. 57-65; Marquis "Why Abortion is Immoral". 09/12 [Lecture 4: Is abortion permissible?] read: Blackburn, pp. 57-65; Thomson, "A Defense of Abortion". 09/17 [Lecture 5: Religion and morality] read: Dennett, "Morality and religion"; Exodus, chapters 20-24; Russell, "Why I'm not a Christian"
09/19 [Lecture 6: God's death, nihilism, and morals without gods] read: Nietzsche, [selections]; Blackburn, pp.10-19; Anthony, "Good minus God". 09/24 [Lecture 7: Nihilism and relativism] read: Blackburn, pp. 19-37; Boghossian, "The maze of moral relativism"
09/26 [Lecture 8: Cultural relativism] read: Rachels, "The challenge of cultural relativism"
10/01 [Lecture 9: Ethics and evolution] read: Blackburn, pp. 37-50. 10/03 [Lecture 10: Moral knowledge] read: Huemer, "Moral knowledge"
10/10 [Lecture 12: Utilitarianism] read: Blackburn, 86-92; Mill, Utilitarianism (chapters 1 & 2), Shafer-Landau, "Consequentialism"
10/15 [Lecture 13: Critiques of utilitarianism] read: Smart, Extreme and restricted utilitarianism; Shafer-Landau, "Consequentialism: Its difficulties"
10/24 [Lecture 16: Kant on Humanity and Autonomy] read: Shafer-Landau, "The Kantian Perspective: Autonomy and Respect"
11/12 [Lecture 21 Film: Food, Inc.] read: Wallace, ``Consider the lobster"
11/14 [Lecture 22: The basic argument for vegetarianism] read: Rachels, "The basic argument for vegetarianism"
11/26 [Lecture 23: Responses to the basic argument] read: Rachels, "The basic argument for vegetarianism"
11/28 [Lecture 24: An argument by analogy] read: Norcross, "Puppies, pigs, and people"
12/03 [Lecture 25: Responses to the argument by analogy] read: Norcross, "Puppies, pigs, and people"
12/10 [Lecture 26] read: McMahan, "The meat eaters"
Regan, "The case for animal rights"